A highly marketable office building, originally built in the 1985, was recently renovated towards a Green certification. The asset has been certified according to the special LEED version for Core & Shell, applied to assets intended for lease. The building complex consists of three buildings with a total over ground leasable area of ca. 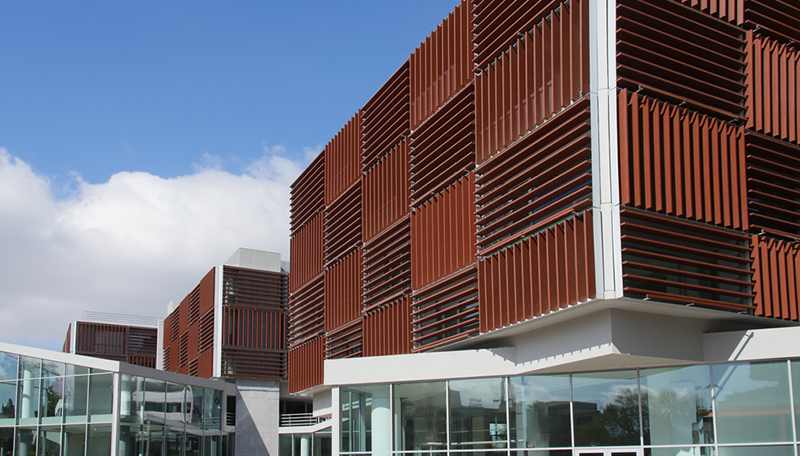 13.000sqm and was selected for upgrade and certification, an investment of approx. 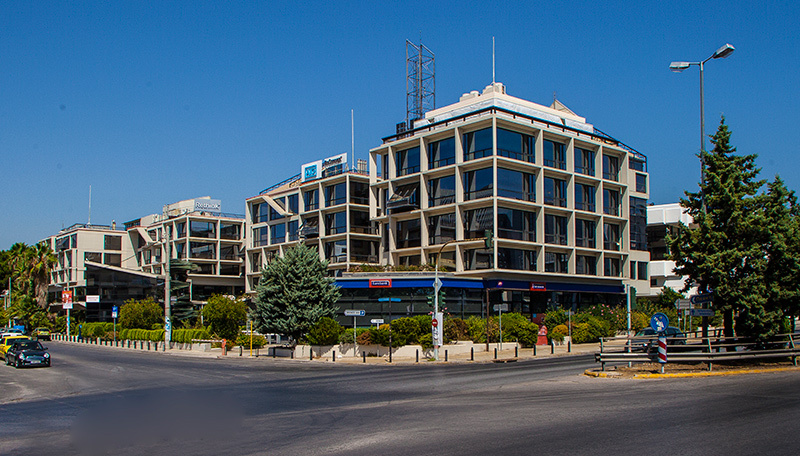 €7 million, due to its strategic location, offering high visibility and excellent accessibility. The goal of the redevelopment was the operational and aesthetic revival of this office-building complex and its modernization in terms of energy efficiency. Construction and upgrading works include, among others, installation of external shading, redesign of external surrounding area, creation of green roofs, shell thermal insulation, window replacement, installation of contemporary air conditioning system and low consumption LED lighting in common areas. The rehabilitation works on the asset targeted its energy efficiency upgrade and the formation of a unified, powerful identity and character. The external aluminium shading system protects the buildings with regard to energy wastage, as their inclination adjusts to the movement of the sun thus blocking solar heat gains to the interior. The building envelope, which acts as a shield in terms of energy efficiency, was also renovated by installing high-energy efficiency specification windows with thermal broken insulated aluminium profiles. Thermal insulation of the building complex will contribute in fulfilling the Building Energy Efficiency Regulation standards and in achieving preservation of the internal space temperature without very less HVAC consumption, offering to the occupants a pleasant working environment. The rehabilitation plans included the creation of green roofs on the terraces of the three buildings that will be accessible to the users of the complex. Besides the aesthetic upgrade of the terraces, green roofs offer benefits such as improvement of the micro climate of the asset, reduction of noise pollution and amplification of the thermal insulation of the internal spaces. After the upgrade, the building complex has become a point of reference for the “green” buildings with significant benefits, including reduced operating expenses and extension of building’s life cycle. LEED certification offers a competitive advantage to this specific office complex on both national and international level. The Green Building certification system contributes towards the improvement of its general environmental behaviour. Green buildings are resource efficient, have significantly reduced pollutants, achieve reduced water usage, re-use and recycle their waste, while the buildings reach faster lease-up rates and retain higher property values. LEED (Leadership in Energy & Environmental Design) is the most widely recognized international green building certification system, developed by the nonprofit U.S. Green Building Council. This certification system denotes how “green” or compliant in terms of energy conservation, water usage, air quality and building materials a building is over its construction and thereafter. LEED has become an international real estate investment tool, with the total value of certified projects exceeding $120 billion.